Air Conditioner is one of the most abuse appliances in our homes every summer. Sometimes we don’t mind our electricity bill as long as we are comfortable and we could avoid heatstroke. But like any other stuff, air conditioner needs regular maintenance too. It is very important to make our aircon runs efficiently so we can save on electricity bill. One important task is to clean the filter every month. Do you know that by cleaning the dirty filter you can lower your energy consumption by 5 to 15%? For the last several years, I’ve been using 3M Filtrete. 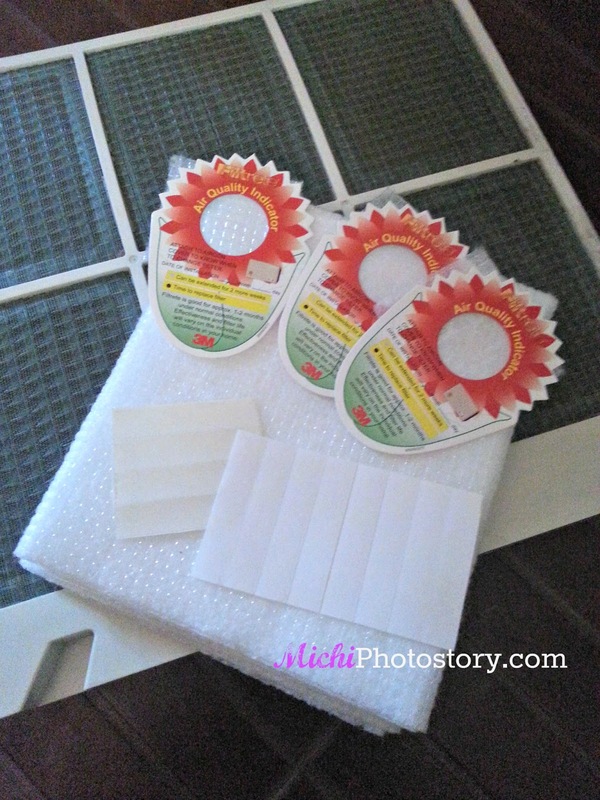 It is a microparticle aircon filter that you attach on the screen filter. According to the packaging, it is made of electrostatically-charged fibers that work like magnets to attract and trap microparticles. So you breathe fresher and cleaner air. It works like an air purifier because it reduces the number of dust, mold, pollen and smoke particles. One thing I like about this product is, it so easy to install and remove. 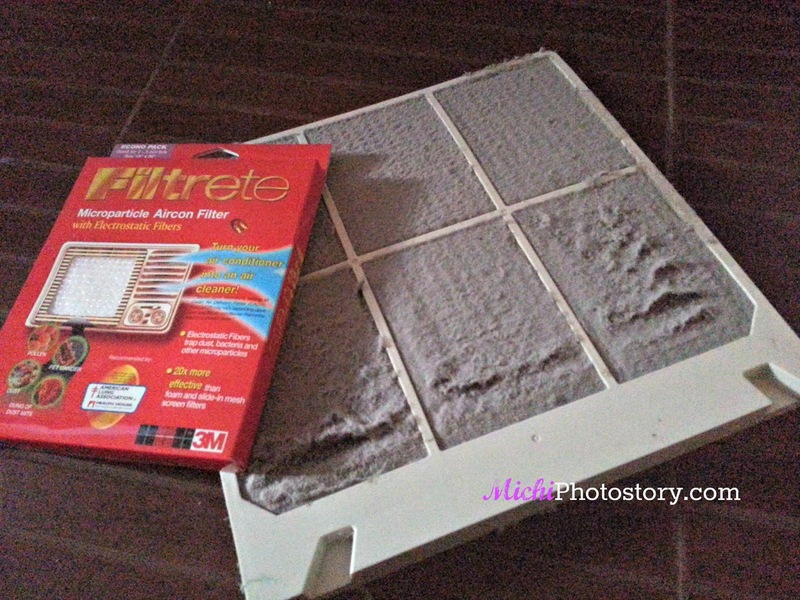 I just remove the filtrete and use wipes to clean my screen filter. Attach new 3M Filtrete and reinstall the screen filter. The filtrete will last 1-2 months. Cleaning the dirty filter is an easy task for me but cleaning condenser is my husband’s job. I’m fortunate because my husband knows how to clean our aircon but if he is busy, we also hire a professional to do the job. Have you cleaned your air conditioner? 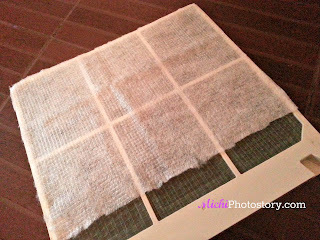 We do change our filter every 2-3 months depends on how dirty is it. But we do change a lot during winter season. I agree its super easy to replaced using Filtrate product. wow, this is new to me. thanks for sharing. we just bought our aircon last year so I think it is now time to replace those filters! So aside from the aircon filter, you use these, right? Are they disposable? I hope they're washable! The dust in our country is unbelievable! We call someone to clean all the a/c at home every four months to keep it running smoothly. This post is very nice and informative. It is a very good thing that cleaning your air conditioner. Thank you for sharing this post with us. Hope your next post will published soon. I agree with this article! There are thousands of health benefits of fresh air. I have a 5 year old son that suffers from allergies and asthma, so air quality is important to us. Pretty good article. Never thought of it.